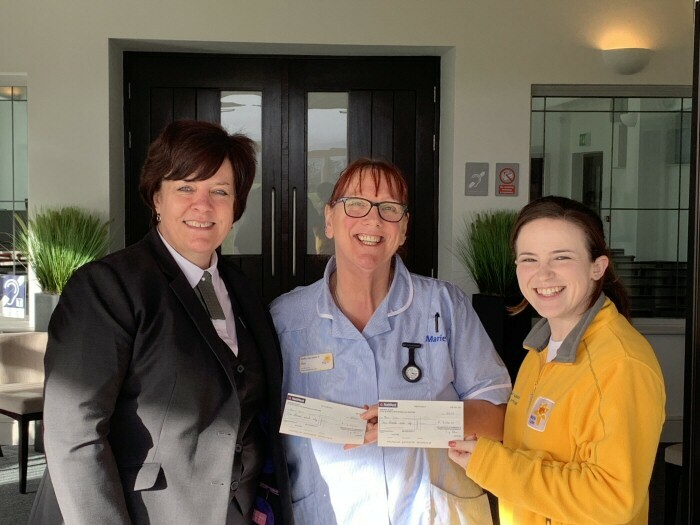 Pictured is manager Nan Wynne Evans presenting the cheques to Laura Ellis-Williams Community Fundraiser for Marie Curie and Lisa Richards a local Marie Curie Nurse. Denbighshire Memorial Park and Crematorium presented a checque for an ICCM Recycling of Metals Scheme donation of £7000 to Marie Curie. Marie Curie nurses work night and day across the local area providing hands on nursing care to people living with a terminal illness in the comfort of their own home, as well as vital emotional support for families and carers. Marie Curie nurses are there to help people when they need it most.